With obesity, cancer and heart disease on the rise in the United States everyone is searching for a common solution to healing and better health. Film maker, Norm Hacker believes that through our own selves and natural healing we can obtain better health. “No matter what state of health you may be in right now, we are all on a healing journey of one type or another. We are all here now at the same time, sharing our time, our resources, our planet, with one another,” he states on his website, healyourself.tv. After he recovered from injuries from an automobile accident Norm Hacker met a film maker and set out on a journey to create his own film about healing. His documentary, Heal Your Self, taking responsibility for your health, explains how we can take control of our own health through natural solutions. Hacker interviewed seventeen health and wellness experts and advocates including doctors, published authors and people who have overcome illness through natural healing. Each presenter in the film contributed a unique perspective on natural healing based on their experiences. After watching this film I believe that the film maker and the majority of his experts have an extreme view on natural healing. 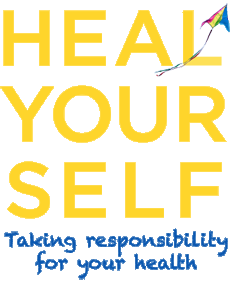 Heal Your Self emphasizes the importance of maintaining a healthy diet in order to overcome illness and achieve optimum health and well being. I agree that we must change our diets in the United States and limit our consumption of processed foods. However, according to this film, humans are naturally vegetarians and we should only consume raw fruits and vegetables and foods that are organically grown. Yes, a diet like this will help you feel better and lose weight, but in the fast paced world we live in a diet solely on raw fruits and vegetables may be next to impossible for some. Also, I disagree with the notion that we are naturally vegetarians. I believe this is true and we should and need at least 1.5 percent of our diet to come from animals. Obesity and heart disease is too common in the United States because a majority of Americans get half of their calories from animals and the protein from their diet does not come from only lean proteins like fish and white meat. Heal Your Self also discusses the importance of using your mind through meditation and faith in order to heal yourself. Susan Ryan Jordan, mother of actress Meg Ryan and published author did just this in order to heal herself from breast cancer. She has been cancer free for a number of years now. Yes I agree that our minds are remarkable and powerful. Faith, prayer and using our mind and brain can help heal illness and ease stress. Related Are GMO Foods Safe? The film also explains how important it is to use all natural chemical free product in our homes and for personal care. I also agree with this. You should be aware of all the chemicals you and your family are being exposed to every day and how they are effecting your health. I agree that many of the common products found in American households contain harmful chemicals that can lead to cancer, infertility and birth defects. If everyone cleaned out their medicine cabinets, bathroom drawers, linen closets and laundry rooms and replaced all their household products found there with all natural alternatives then cancer statistics would decline tremendously. I agree with Norm Hacker that yes through education, and implementing lifestyle changes we can take control of our health and well being without relying on doctors and other professionals to tell us how to live. For more information on this film and to purchase the DVD please visit: healyourself.tv. *Disclosure: I received a copy of the DVD Heal Your Self- taking responsibility for your health in exchange for this review. All opinions are accurate and 100% mine.